Hubble Space Telescope has made the deepest image of the universe ever taken in near-infrared light. 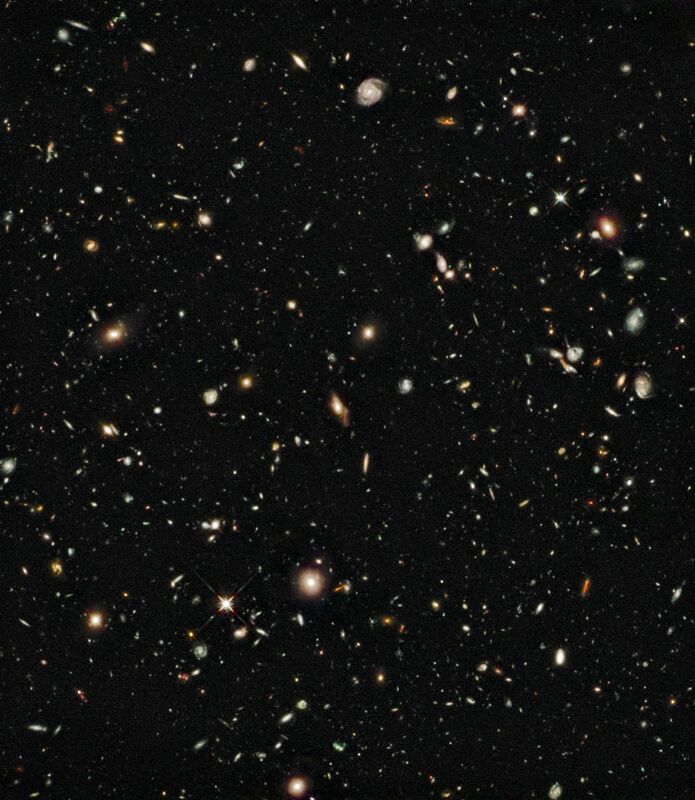 The faintest and reddest objects in the image are galaxies that formed 600 million years after the Big Bang. No galaxies have been seen before at such early times. The new deep view also provides insights into how galaxies grew in their formative years early in the universe's history. The image was taken in the same region as the Hubble Ultra Deep Field (HUDF), which was taken in 2004 and is the deepest visible-light image of the universe. Hubble's newly installed Wide Field Camera 3 (WFC3) collects light from near-infrared wavelengths and therefore looks even deeper into the universe, because the light from very distant galaxies is stretched out of the ultraviolet and visible regions of the spectrum into near-infrared wavelengths by the expansion of the universe. 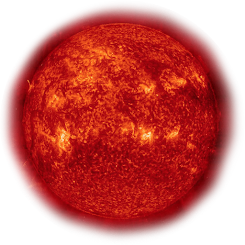 This image was taken by the HUDF09 team, which was awarded the time for the observation and made it available for research by astronomers worldwide. In just three months, 12 scientific papers have already been submitted on these new data. The photo was taken with the new WFC3/IR camera on Hubble in late August 2009 during a total of four days of pointing for 173,000 seconds of total exposure time. Infrared light is invisible and therefore does not have colors that can be perceived by the human eye. The colors in the image are assigned comparatively short, medium, and long, near-infrared wavelengths (blue, 1.05 microns; green, 1.25 microns; red, 1.6 microns). The representation is "natural" in that blue objects look blue and red objects look red. The faintest objects are about one-billionth as bright as can be seen with the naked eye.